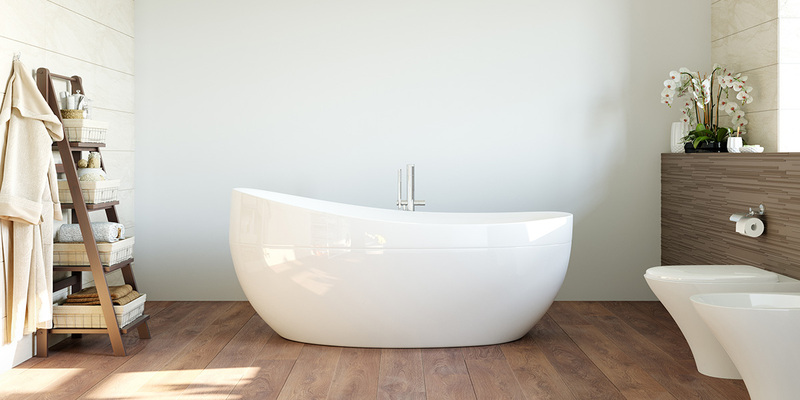 Bathroom renovation series – The Budget bathroom renovation. 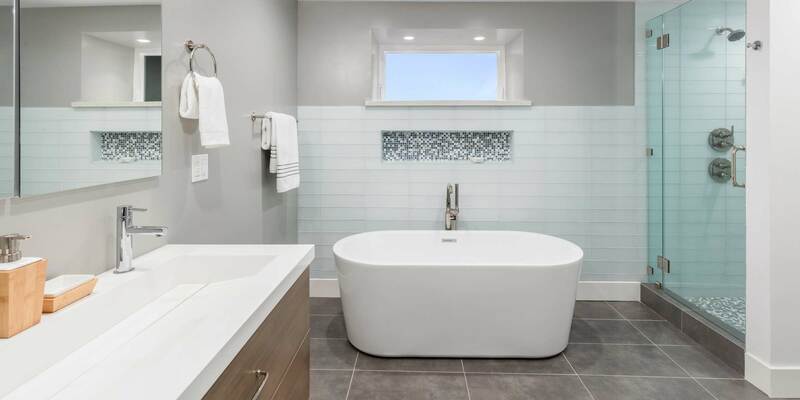 Part two in a four-part series of articles that looks at bathroom renovations and what to expect at different budgets, and tips to help plan your bathroom renovation. Like all home renovation projects, there are 3 levels of renovating: good, better and absolute best. We’ve already discussed getting started with bathroom renovation costs. 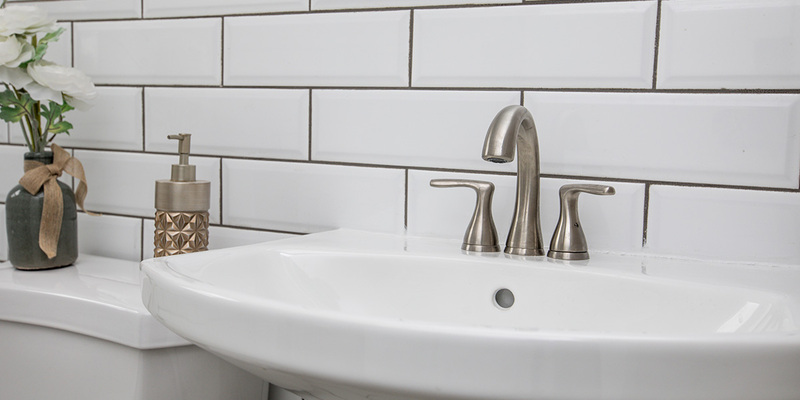 Today we’re going to talk about a basic budget bathroom renovation. It’s likely you may not be able to move a lot of plumbing around due to costs. But you could replace and update fixtures and fittings off the shelf. Getting creative with an interesting splashback can make the basic bathroom renovation look a little more expensive than it was. Low end granite and cultured marble sink tops are the most popular in this price range because of both their appearance and price. Standard tiles and painted walls are too. If your existing cabinetry is in working condition, hire a painter to decorate them. Or you can have off the shelf cabinets installed. Tip: It’s easy to compensate for using lower cost ‘off the shelf’ materials by focusing more on accessories and furnishings. Splash out on a lovely light fixture or drawer handles.. Furthermore, accessorise with beautiful towels and baskets to store your bathroom products. They will draw the eye away plain white tiles (for example). A brightly coloured shower curtain is easily and inexpensively replaced and can give the bathroom a fresh new look on a regular basis. Who to hire: Consult with a designer for any project, even if you plan on DIY. This will help prevent expensive DIY disasters! Check what permits are needed and what you may need a registered plumber or gasfitter for. 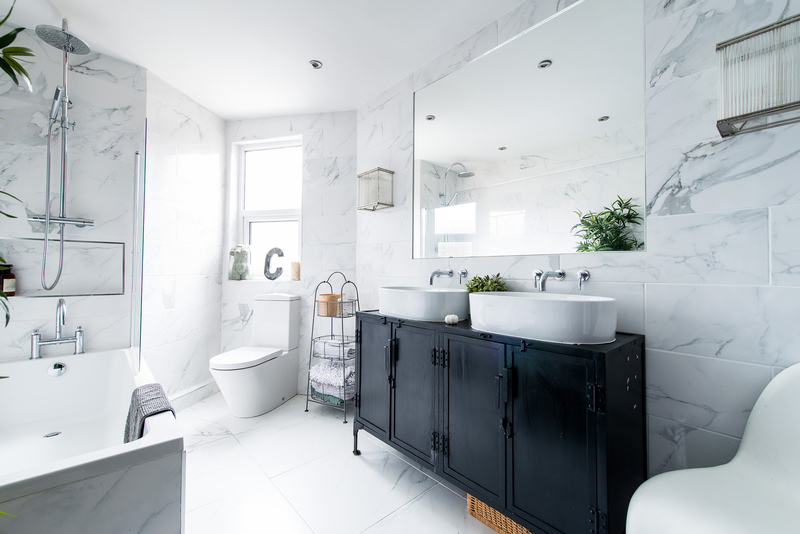 A basic bathroom renovation is recommended when: Your budget is limited, or you’re looking to resell or rent out, but don’t want to spend a lot to make it look nice. Whatever your budget, hire professional tradespeople, get quotes and contracts. In addition, remember to ask questions before undertaking bathroom renovation work! If I wanted a floor plan towards new renown home who do I contact what are the costs? Will post up soon foe architect quotes.